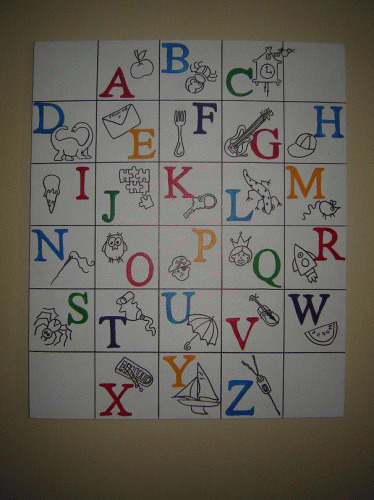 I started looking through some of the commercial alphabet charts for kids. They seemed a bit tacky and weren't really australian. I decided to make my own. I was inspired by a notebook magazine template and other images I had. Some pictures were a bit difficult to decide on, but I kept looking and was happy with the results. The letters were printed from my document software in a font I liked. 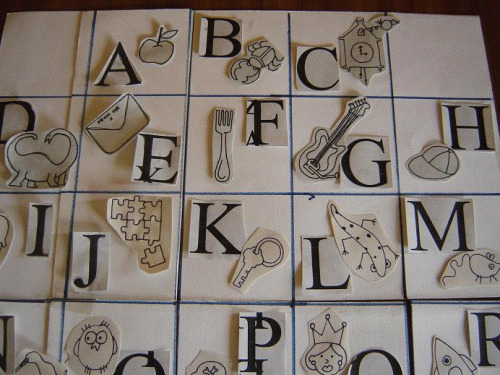 The photo shows my initial layout on a grid of cardboard. Next, I prepared a canvas by painting it white. I then drew the grid. 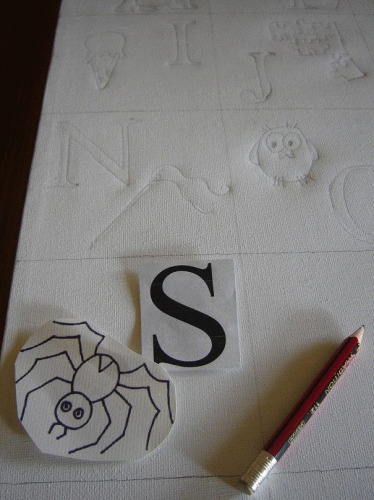 I traced the images and letters as you can see in the photo. I then started some delicate work, hand painting. This was in acrylic. It was time consuming but satisfying to be making something beautiful and educational for my children. The final result. 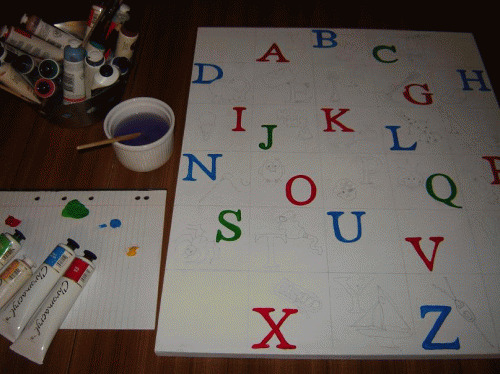 I decided not to colour all the images so that the letters stood out. It was also a little simpler. I used this same process to make charts for my nephews. The results are colourful and personal.